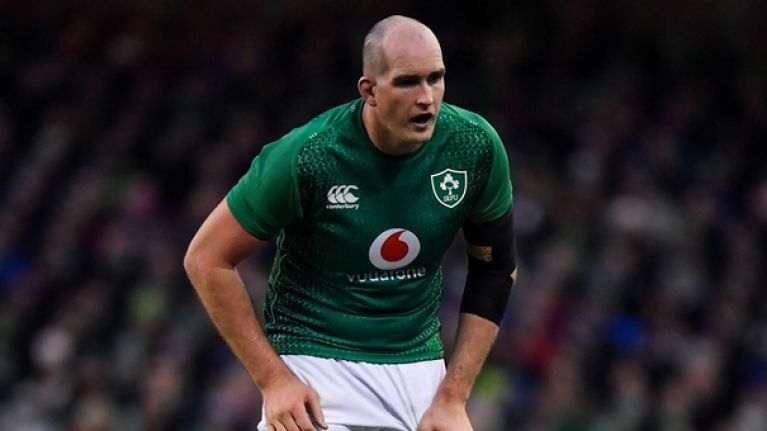 The IRFU have confirmed that second-row Devin Toner will miss the next two months with an ankle injury after undergoing surgery earlier this week. Toner was pulled ashore after 57 minutes of last Saturday's 32-20 loss to England with Connacht lock Quinn Roux replacing him in the starting line-up for this weekend's trip to Edinburgh to face Scotland. His loss represents a massive blow to the Irish pack who are already without Iain Henderson (finger) and Tadhg Beirne (knee). However, Sean O'Brien will come into the side for CJ Stander, who may miss up to four weeks with what the IRFU are describing as a facial injury, while Jack Conan will start at number eight with Josh van der Flier dropping to the bench. Rob Kearney has also been recalled to the side in place of Garry Ringrose who drops out of the matchday squad entirely with a hamstring injury. Robbie Henshaw also misses the cut after missing training at Carton House on Thursday and is replaced in the starting lineup by Chris Farrell, who will partner Bundee Aki in the Irish midfield.